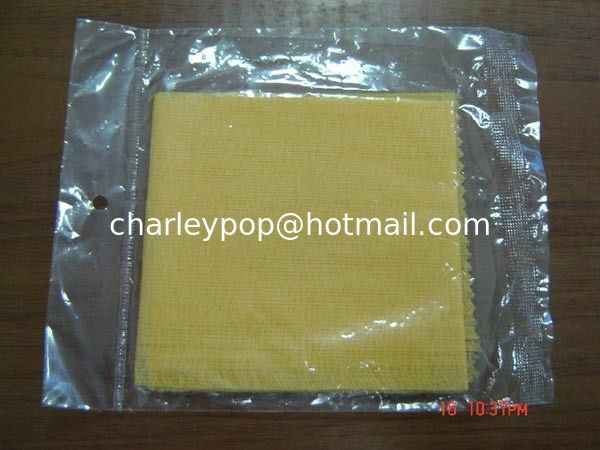 Tack cloth is made of 100% cotton absorbent gauze with glue. It is the professional choice for a perfect lint free finish. Use on metal or plastic surface. Compatible with latex alkyd, urethane, epoxy and varnish. Direction: Remove cloth from bag. Use before each coat of paint or finish after normal preparation and blow off. Tack the surface using a soft gentle motion. A gentle wiping action will pick up dust, dirt, lint and sand residue. Do not use on hot surfaces. 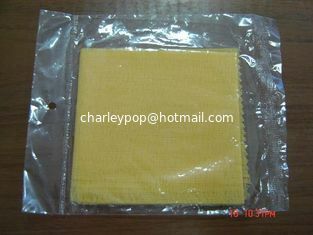 Package: 1 tack cloth, individually wrapped, 40's 20x12 45x90cm (18"x36") cotton gauze 80% impregnated with petroleum resin 6.3 grams. For professional finishing on automoblies, truchs, boats and aircraft.